Train with one of America’s leading personal fitness trainers, Dan Isaacson! Build strength, increase endurance and intensify your workout! Dan Issacson, one of America’s leading personal fitness trainers to Hollywood’s top celebrities has designed this high-energy, high-powered workout especially for Total Gym. It’s the same program originally created for the Los Angeles Fire Department, so the firefighters could get an effective, all-around workout on Total Gym. Now you too can enjoy the valuable benefits of this incredible training program. Dan guides you through his comprehensive 18 exercise program that works key muscle groups including back, shoulders, arms, abdominals, legs, and more. 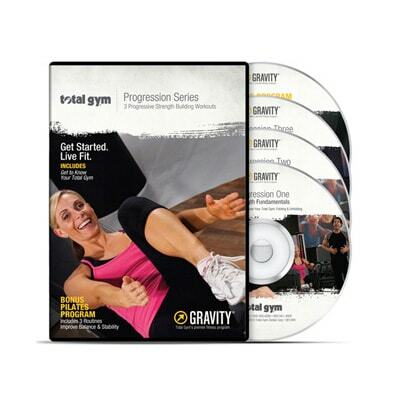 This step-by-step program is designed to help you build strength, increase endurance and enhance the benefits of training with your Total Gym. Approximate run time 50 min.